“A Christmas Fairy” is a short story published in 1913 in a collection called The Children’s Book of Christmas Stories. 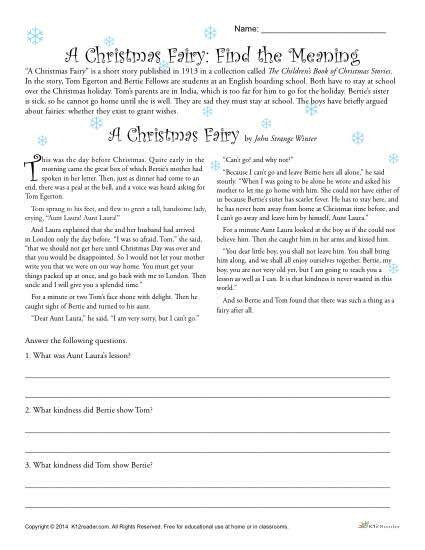 In this Christmas worksheet, students read the passage and answer questions. A great reading comprehension activity for the Christmas season!